There is a wonderful world of manual lenses out there. This guide is dedicated to using Nikkor lenses on Canon, and other camera mounts. Using a Nikon to Canon adapter you can bring these incredible lenses back to life. UPDATE: Disregard the use of paper to tighten the lens adapter to the lens. There are actually small slits on each of the 3 lips that you can widen to tighten the lens adapter. Better yet, check out the Redrock Micro Nikon to EOS adapter which uses 3 screws to adjust play. [9:49] Why Use Manual Nikkors? Nikon compatibility chart I mention in the video can be found here. KEH.com for lenses. Remember EX is the best but if you need to save money and don’t mind a slightly more used lens then the BGN rating will get the price down a little farther. My own rule is if I am spending more than $300 on the lens I get EX or EX+. I’d hate to buy a 50mm F1.2 for $500 at the BGN level and have it be in bad shape. 28mm F2, 35mm F2, 50mm F1.4, 85mm F2, 100mm F2.8. You might want to check out this article on spotting the difference between NON-AI, AI, and AIS if you do a lot of garage sale or craigslist shopping. Also check out the lens gears from WideOpenCamera.com. Do you have any tips for adapter Nikkors to different camera mounts? For some of my loose adapters I have a single layer of black electrical tape on the adapter between the adapter and lens. It’s pretty snug, but I have also been buying dedicated adapters for each of my lenses just to make swapping them out on set and in the field quicker. Awesome video. Very informative. Thanks Caleb! Keep it up! Hey Caleb thanks for this video! How do you think the image from these lenses compare to the Canon ones? Not the L primes, but the “mid end” ones like the 50mm 1.4 or the 85mm 1.8? Hi Caleb, very nice vid, thanks. You mentioned KEH for the lenses, but I wonder how reliable their ratings system is for the cameras. KEH seems to be a store with a good reputation on the net, yet I don´t seem to find that many people speaking about the great deals they got when they purchased their cameras from KEH. Get your hands on the Nikkor 28mm f/2.8 AI-S (not the AI and not the D). Optically it’s a different universe from your f/2. If you discover it — you’ll thank me. Do you have any issues using follow focus gears etc on the older non AI lenses, because they have that scalloped focus ring? What about the crop factor? Does it increase? No. No extra crop. Its the same as Canon EF lenses. 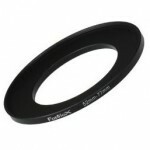 what were the few lenses that did not work with the fotodiox adapter? I’m pretty happy to report I found a manual Tokina 28-80mm f4 for Nikon F mount at a local camera trader earlier today. The most amazing part is how incredibly smooth the zoom ring is. 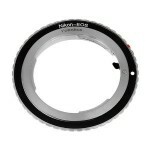 I’ve been sticking to primes or just not using zooms except to re-frame shots, but this zoom ring is revolutionary! I have been watching your info videos since the beginning and I must say this is one of your best videos! Extremely informative and the visual presentation very professional. I was hoping you would produce a more concise video on the use of Nikon lenses with Canon cameras. This Pod cast will definitely be of great benefit for the projects that I will be working on! Thank you so much! What is the difference between the 28mm f2.8 AI and the AIS? Does anyone know if there is much of a difference between the standard and pro version of the fotodiox adapter? Thanks for this video, Caleb. Lots of good info gathered into a solid video. A random question: what kind of labeler do you own and use? Would you be able to include the make/model of the ND Fader you use? Wow, I think this is your best video so far, great info and I liked the music too. Sorry I just got around to watch it now. I am going to have to pick up some of these lenses. You got me going on these Nikor lenses for dslr video, since I had a couple to begin with. Dental floss worked for me to stop the wiggle. It’s easy to customize a half turn or two. Hello Caleb, Caleb i am hesitating between the Contax Zeiss and now this Kikon lenses. do you have any experience with the Contax lenses? if you do witch one is better image quaity. also, i have found canon used zooms, like the 24-70 used form a rental house for about 950 and the 70-200 for aout 1200, a full complete set of this nikon lenses are about 1600 for 6 lenses, what will you recomend me to get? Please let em know what you think about this. Thanks Dave. I think so too. Better build quality and more expensive. You probably wouldn’t need to fix any wiggling either. Ah I should have addressed that in the video. I would use a non zip tie gear for the non ai lenses. I used the Redrock Micro ones but there are several brands that would work. I have not used Contax lenses. I’ve heard they are really great but I don’t think the work on as many mounts as the nikons. Those sound like decent prices. I would just make sure you are happy with the quality and check to see which lenses come in that prime set and check this out online. Thanks Caleb! After watching this I ordered a 28 f2 ai-s at BGN less than 300! The lens came quick and functions perfectly. There’s only some minor scratches in the body, But the focus and aperture are nice and responsive. I own both the regular and pro version of the fotodiox adapter. The black pro adapter doesn’t slip at all. The silver one I needed to shim a bit with the 28 f2. You want to make sure infinity focus is correct. There’s a great discussion about adapting manual lenses here http://www.flickr.com/groups/eos-manual-lenses/discuss/72157627476113322/. Thanks for the info and giving me a new site to get my equipment from! Caleb thanks a lot for the info. One last thing, how will you compare this Nikon lenses to the quality of the Canon L-glass lenses? I will like to get your personal opinion about quality of the Nikon lenses here to the canon l glass like teh 24-70 and the 50mm prime l glass. I think the AIS lenses can totally keep up with Canon L lenses in quality. Wonderful Video – Thank you! Do you have any suggestions for people shooting with the GH2… Obviously this is where the crop factor really comes into play with the GH2 having almost a 2x crop factor. Should I be looking a 24mm for the 50, a 50mm for the 100mm (and so on)… Or should I look at another ratio. The reason I am confused is that a 28mm on a 5D is going to look different than a 28mm on a traditional 35mm camera. If I am going to TRY and make my GH2 match traditional film, then how do I transpose my lens purchases to match what you would traditionally use on film. Thanks! Yeah the GH2 is tricky for lenses. Its pretty much impossible to get wide without using M43 lenses. That is probably the biggest reason why I don’t use one… You could use some wider Nikkor lenses but you will get lens compression because the are going to have a slight fish eye effect and will act completely different than a normal M43 lens. Good to know. I will have to give that a shot and update the post. Yeah… I need to work on the tired eyes. You’d be surprised how many people ask me if I smoke joints LOL. where did you saw that “Nicorn”? In all modes? Or just M or video? Hello, we just got the 28 and we are having the same problem. The meter is way off, but off, like if i am over for about 2 stops it keeps saying that we are under 3 stops, this is really a problem because 3 cameras in a shoot is a real pain to manage this way. Any subjestions to this problem? I am doing some tests tomrrow. If you change the setting in the camera to be spot only that may fix the problem. I just saw a article about this and the way to get focus and meter the ight, it is called Stop Down meter. Basically take the focus at the widest apperture and tehm turn the lens dial to stop down the apperture to get good exposure. Using the fotodiox adapter and some AIS lenses I can’t change the aperture with the adapter on. Does anyone else have this issue? Because the aperture is at the back of the lens, with the adapter on it fits so snug that I can no longer adjust. Caleb, thanks for the great video. Very informative. What do you think about the series E lenses by Nikon? Are they not as high quality? I can speak as a KEH customer and i can say they exceded my expectations with their lens and rating system – buy with confidence. hi Caleb I just want to ask about the focus ring . its from wide open camera I think ? I’ve just ordered my first nikkor prime 50. My nikkor primes came in this morning.Because of their short barrel i’m not able to use my Indisystem follow focus on them,any one have this problem,or what kind of follow focus you are using?Any suggestions? What’s up with the Nikkor E-series? Is there a huge difference in build and image quality between E-series lenses and Nikkor AI and AIS lenses? The price difference would suggest so. The E series lenses are great. Although I have not compared them to the other Nikkors. Is your ND the one from WideOpenCamera? I didn’t get it from them, But yes, its the same brand. Why did you buy a 28 and a 35? Aren’t those really close in focal length? 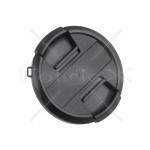 Will a Non-AI lens work with an AI adaptor (cheaper than non-AI adaptor) for my Canon EOS mount? Thats a good question… I’ve only used the adapter I linked to above so I couldn’t tell you with certainty. I would try to get the correct adapter. are these lenses G or F mount?